After the researching, drafting, editing, and dancing the final adrenaline-fueled dance with the deadline, you submit your writing. Gone; out of your hands. Your desk still looks the same, but there’s an eerie silence. . .except in your head. A writer can often feel lost or jittery, filled with anticipatory dread about the final edit, upcoming publication, or possible rejection. So, now what? The creative wheels on recent writing keep turning after hitting ‘send.’ Ideas can come instantly or up to days after submission. That’s good! Creativity is still clicking, so honor the ideas, notate them, or maybe file them away for possible revisions or expansions in the future. Something happens to make you wish for just one more revision. Yes, your mind may change. I witnessed a writer who had researched libel, felt confident about his work, then heard another opinion making him anxious all over again as the presses were running. More research was the salve to calm his fears. You are wired and worn out from your too-fast dance with the deadline. If you were stressed or, worse, simply didn’t make the deadline, reassess your process. 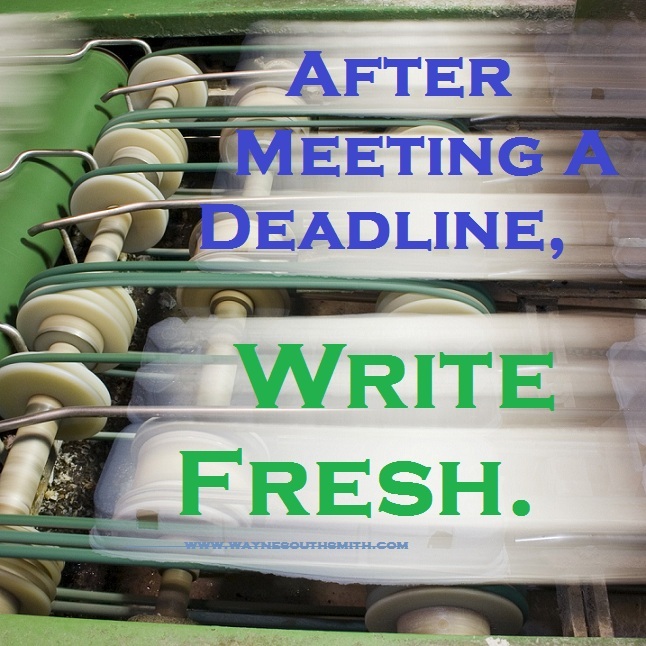 Though some writers are like crazed holiday shoppers thriving on the last minute rush, try beginning work upon assignment and setting a personal deadline days in advance of the real one. A buffer gives you the opportunity to breathe easier. You get the blues. 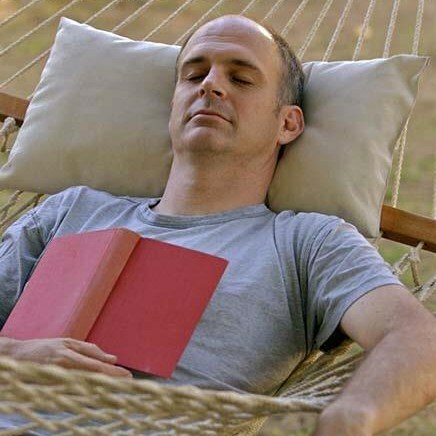 Some writers use the term ‘put to bed’ from the newspaper industry, which either can give a feeling of freedom or one that feels self-defeating. An attitude of ‘all is lost’ or ‘it’s over for good’ is limiting. Be discerning with self-talk at this juncture. Speak to yourself in a way to create a feeling of a clean slate and a golden opportunity to begin anew. Do something good for yourself. After big projects are complete, a feeling of letdown can set in. See friends, get out of town, garden, indulge in an afternoon in a hammock, go to a show. If necessary, shift focus and relieve stress by catching up on the to-do list you haven’t finished while writing the project. Whatever you do, engage enthusiastically as you did with your creative project. Enjoy the glow of accomplishment. Answer your fan mail and take the calls from those who want to give reviews. Enjoy their enthusiasm and graciously receive their kudos and suggestions. Accept the compliment that they cared enough to express from the encouragement of your writing, even if their voice is dissenting. Most importantly, feel great about your good work. Keep writing. Maintain momentum by writing in whatever way feels right, whether it is journaling, revising or beginning anew. Keep up the practice, and keep the creativity fresh. Get ready for more ideas when you read your published work. You will have grown into a new perspective, even in a short bit of time. Celebrate that growth, the outpouring of ideas, and channel it into your next project. Wait, stop the presses! Then later, Extra, Extra read all about it! You probably don’t remember these now defunct newspaper-business shout-outs. Your piece reminded me though. Thanks for the art, picture-words and reminders to keep up the writing, Wayne.